Christopher Parkening, whose remarkable life and career were recently chronicled in his autobiography and companion CD, Grace Like a River, described the young baritone Jubilant Sykes as "phenomenally gifted." Through the years, as Christopher and Jubilant's friendship grew, so did the scope of their individual careers. The two performed together in concert quite frequently so the idea of recording together seemed a natural progression. When Christopher Parkening and Jubilant Sykes walked into Capitol Studios' famous Studio A, where so many legendary artists have recorded, something special was going to happen. 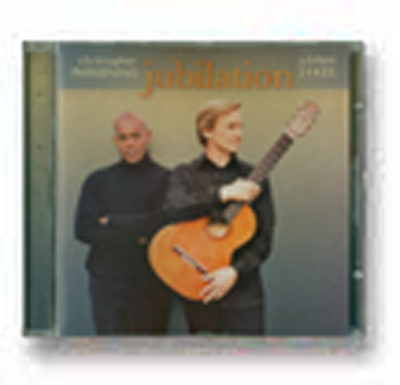 This recording, aptly named Jubilation, is a musical journey through Brazil, Spain, and the Americas.